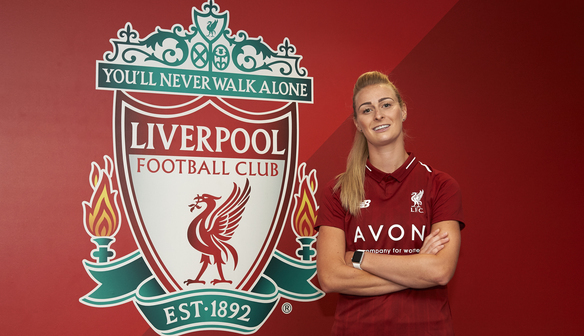 Roberts: "We’ve just got such a sense of togetherness"
One of the Reds’ key arrivals during the summer transfer window was versatile Wales international Rhiannon Roberts and she is loving life at Liverpool. The 27-year-old was delighted when Neil Redfearn invited her to play full-time professional football again after she had served him well during Doncaster Rovers Belles’ run to the FA WSL 2 title last season. And Rhiannon, or ‘Razza’ as she is popularly known around the Reds’ camp, was delighted to return to the top tier of the women’s game having previously played at this level with Belles in 2013 and 2016. “It’s been great. 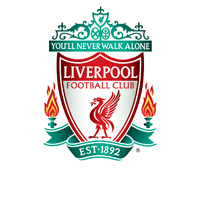 It’s a different kettle of fish being full-time with Liverpool and it helps my international ambitions with Wales as well which is always beneficial,” she says. “Training at Wallasey every day where the facilities are great and just being a part of this team, this squad and the staff is brilliant for me. We’ve just got such a sense of togetherness among this group of players and it’s a really good group to be a part of. One switch Rhiannon has made this season is to a holding midfield role where she can put her height and aggression to good effect. With Leighanne Robe forced to sit out last weekend’s defeat at Bristol City through injury, Rhiannon slotted in at left-back. She produced a solid performance but admits the team were desperately disappointed as two goals in the space of five first-half minutes ultimately proved to be their downfall. “It was really disappointing for us and you could tell everyone in the camp was frustrated as we know that we should be taking points from those teams around us because it will make a huge difference in the table." The result at Bristol came on the back of tough tests against top three sides Chelsea and Manchester City and this afternoon sees another stern test in the shape of fourth-placed Birmingham. “We weren’t disappointed with our performances against Chelsea or Man City and although we didn’t get points against them, our performances were quite good. “We’ve gelled really well. I think we’ve all played with each other at some point in our careers so that was never really a problem for us. We’re progressing with each game on the pitch and sometimes you’ve got to have some lows to gain some highs." Rhiannon was born in Chester but brought up in Blackburn and she still lives near the Lancashire town. After progressing through youth teams at Burnley she made her Women’s Premier League debut with Blackburn as a teenager. And following last season’s successes at Doncaster she is now enjoying working under Vicky Jepson and Chris Kirkland in the FA Women's Super League. Now the Reds’ no4 is hoping to play her part in helping the team make a strong finish to 2018.